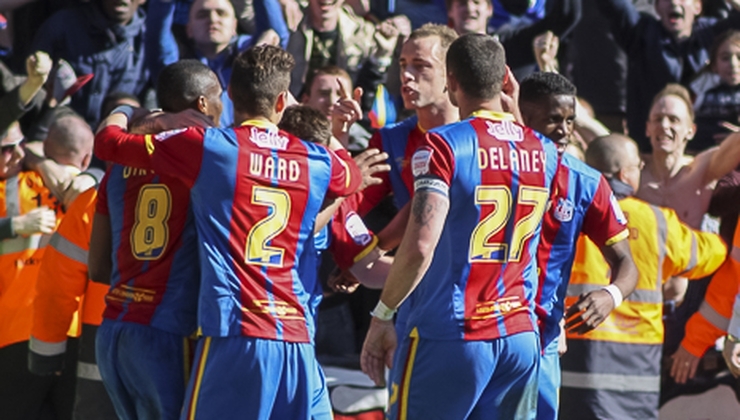 Crystal Palace secured a place in the FA Cup final at Wembley last night, their first championship spot since 1990. Manager Alan Pardew watched his team defeat Watford 2-1 after goals by Yannick Bolasie in the sixth minute and Connor Wickham in the 61st. The team are set to play Manchester United on May 21. Palace lost to United in their last final appearance in 1990. Wickham sent a message to fans on Twitter after the match. Palace fans have taken to Twitter to express their excitement. Even Chairman Steve Parish joined in on the action. A fan spotted match-winner Connor Wickham on the tube after the game.